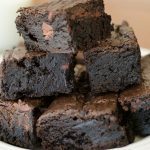 Looking for dark chocolate fudge brownies? 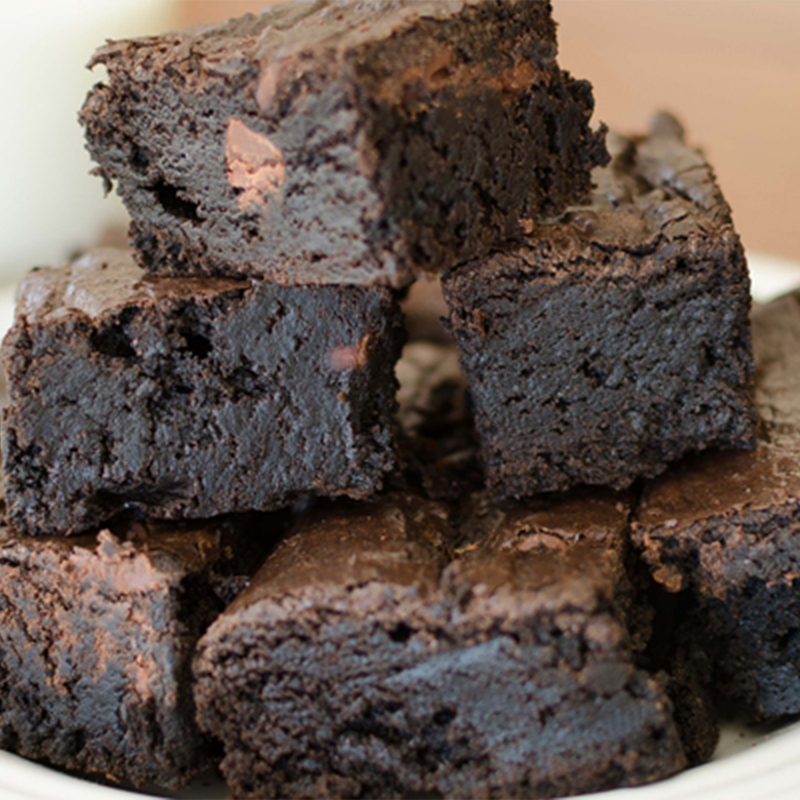 If you’re looking for a fudge brownie recipe, you have to give this one a shot. They are made with special dark cocoa powder and semi-sweet chocolate chips. For dark chocolate overdose: try adding a dark chocolate frosting topping (grab a napkin to wipe the drool). They don’t last long in my house, and I presume they won’t last long in yours either. I couldn’t get some to my mother’s house before they had disappeared. These are pretty rich, so it’s best to cut them into smaller pieces and have some rescue milk or vanilla ice cream in reserve. Special Dark cocoa powder and semi-sweet chocolate chips transform your everyday brownie into overindulgence.